A month before the long-awaited arrival of China’s national standard for low-speed electric vehicles (LSEV), many regions across the country suddenly began to toughen up regulations on or even ban outright the sale and use of the cars that are a popular means of transportation. LSEVs are small, short-range vehicles that are speed-limited, but which have lower safety standards than full-size electric automobiles. Vehicles not on the Ministry of Industry and Information Technology’s official list of vehicle types are all banned from the road, whether they are electric bicycles, electric tricycles, four-wheelers or mobility vehicles used mainly by seniors. It is these that have caused the most concern – some mobility vehicles look similar to other electric vehicles, but are much cheaper, and not up to the same technical standards. You do not need a license to drive one, they are easy to use, and they go much faster than bikes. They are particularly popular with seniors and migrant workers in smaller cities and rural areas where the public transportation network is weak. Given the big demand, the market for these LSEVs has been growing rapidly in the past few years, with a fully fledged supply chain which involves hundreds of thousands of jobs and even more users. The recent sweeping crackdown on LSEVs provoked discussion in the industry, despite the known safety loopholes, lack of supervision and environmental protection hazards. Two years ago, authorities had already announced they would issue quality standards, which are set to be released in October. Given this, the recent sweeping ban came as shock, and it has brought uncertainties to the market. The LSEV industry has gone through a period of what industry analysts say is unchecked growth. For more than 10 years, LSEVs have existed outside any industry or transport regulatory system. The industry has thrived in third- and fourth-tier cities and rural areas, with Shandong, Henan and Hebei the main production and sales regions, which have large populations and poor rural public transportation. In eastern Shandong alone, there are more than 100 LSEV manufacturers and an estimated three million vehicles. According to data from the Shandong Association of Automobile Manufacturers, in 2017 Shandong produced 756,000 LSEVs. From 2009 to 2017, local producers manufactured 2.19 million units. From January to June 2018, the province produced 327,200 units, year-on-year growth of 30.52 percent. The electric car sector, which constitutes the majority of new energy automobiles, grew more slowly despite government encouragement. According to the China Association of Automobile Manufacturers, in the first half of 2018, China produced 314,000 new energy vehicles, lower than Shandong’s output of LSEVs. In addition, the startling year-on-year growth of 79 percent in electric car production is already slowing after the government cut subsidies in June. LSEVs have an absolute advantage over new energy cars in terms of prices, although it comes at the cost of quality and safety. An LSEV typically costs from 20,000 yuan (US$2,925) to 30,000 yuan (US$4,388). In contrast, a car from Zhidou, a leading micro-electric car brand based in Zhejiang Province which exports to Europe, starts at nearly 50,000 yuan (US$7,309), one of the cheapest electric cars. In many regions that have started to ban LSEVs, drivers have expressed discontent and bewilderment. They insist that LSEVs are the most convenient and affordable form of transportation. The large number of users in townships and rural areas that have poor road systems and depend even more on LSEVs for daily commuting are particularly worried. “Public transportation doesn’t go everywhere here. Roads in the countryside are too narrow and this kind of vehicle [LSEV] is the most suitable and convenient,” said one LSEV owner surnamed Wang, who lives in a rural area of Central China’s Henan Province. Wang said that county traffic authorities where she lives now require all LSEVs to have a license plate, and they intend to also issue regulations on speed and weight. “We hope we can still drive after these rules come out. If they’re all banned, we’ll probably have to walk or cycle everywhere. That’s hard to imagine. Compared to simply banning them all, it’s probably more urgent to educate drivers and raise their road safety awareness,” Wang said. LSEVs also play an important role in driving local economies and providing jobs. An LSEV producer, who asked for anonymity, told NewsChina that selling 500,000 four-wheel LSEVs annually would bring jobs to more than 100,000 people both up and downstream in the supply chain – this includes supplying parts and components to marketing and after-sale services. Levdeo, a Chinese electric vehicle producer from Shandong Province, sold about 220,000 vehicles in 2017. It has more than 3,000 full-time workers and brings jobs to tens of thousands of people who work in the whole supply chain. But without clear technical and regulatory standards, the LSEV industry has never been under a proper regulatory framework, either for production or use. The fast and chaotic growth has led to traffic headaches and safety hazards. According to statistics from the traffic management department of China’s Ministry of Public Security, in the past five years, LSEVs have been involved in 830,000 accidents, which have claimed some 18,000 lives and injured 186,000 people. The number of accidents rose by 23.3 percent annually on average, while the death toll grew by 30.9 percent. There are many safety hazards due to lax production standards. Vehicles have been known to spontaneously combust or catch fire while being charged. While there are no standard speed limitations, some warned that the minimum speed of 30 kilometers per hour in practice is too high to be safe. The fact that you can just buy one and drive away, with no license plate or driving license has become the biggest selling point. This convenience helps those who are really in need, but also emboldens reckless drivers to ignore traffic rules and road safety – with no license plate, they cannot be identified if they run red lights or drive the wrong way up a one-way street. Users also drive on main roads, as there is no rule for what kind of road they can use and how to punish them if they do break the rules. Even in big cities like Beijing, it is common to spot vehicles shifting between different lanes. It is too big a job for local traffic police to monitor the sheer number of LSEVs and look out for violations. A Beijing vegetable seller surnamed Zhao told NewsChina that she changed her mind about buying an LSEV after she saw how unsafe they were, when she saw one crumple after hitting a roadside garbage bin. “If they hit someone on the road, they just drive away and it’s almost impossible to find them and hold them responsible as there is no license plate to track them,” she said. Even if they are caught by police, it is difficult to get them to compensate victims as they are not covered by insurance. In some regions, such as Guigang in Guangxi Zhuang Autonomous Region and Xinzhou in Shanxi Province, LSEVs have been legalized and must display license plates, and drivers have to meet certain technical requirements. “We are supportive of measures that include LSEVs in standardized management, which is good for the development of the industry,” an insider in the LSEV industry told NewsChina. Over the years, there have been many calls to allow, or even require LSEV users to buy insurance. Battery pollution is another major issue. Lead-acid batteries are commonly used in LSEVs. However, the practice has long been criticized, as producing, recycling and reproducing lead-acid batteries results in lead smog, lead dust and lead-polluted water. Currently, it is estimated that 90 percent of lead-acid batteries can be recycled, a rate much higher than lithium batteries, because most lead-acid battery components can be reused, and the recycling industry is booming in China. But the majority of the recycling is done informally by small workshops and does not follow technical standards, so this process also causes pollution. The problem is how to tighten up regulations on the recycling, transportation and processing of the batteries to minimize their harm to the environment and to the workers involved, as industry analysts have repeatedly pointed out. In an article on the planned national standards for LSEVs in newspaper The Elite Reference in early 2017, Dong Yang, deputy president of the China Association of Automobile Manufacturers and head of the team to map out national standards, wrote they would ban the use of lead-acid batteries because of the severe pollution caused by the poor management of the battery recycling sector. This article aroused wide discussion in the industry. LSEV enterprises are supportive of updating lead-acid batteries to lithium ones that are friendlier to the environment. Many companies have already initiated the change. But since lithium are more costly, it means vehicles will be more expensive, a hard nut to crack for enterprises and consumers. For example, now in Shandong Province, if the price for LSEVs goes up to 40,000 yuan (US$5,848) after installing lithium batteries, consumers will think twice and the market will shrink, some insiders worry. All these problems indicate the urgent need for national standards for LSEVs to protect all road users. Although establishing a national standard and traffic regulations for LSEVs have been on the agenda for a long time, progress has been slow. Analysts believe this is due to divisions among different departments, as some want stringent restrictions while others care more about industry growth. Regulatory system, battery technology and safety standards issues have long been the focus of debate among LSEV enterprises. While LSEV producers hope they can develop in the countryside and expect a national standard to guide an orderly development for the industry, they are daunted by the forthcoming standard that is anticipated to be harsh. In October 2016, China’s Standardization Administration officially published the plan that would make a national standard for LSEV in two years. According to its guidelines, LSEV producers that could meet the requirement for electric cars would be encouraged to upgrade into producing proper electric automobiles. For those which will remain in the industry, national technical standards would be established and applied. Companies and vehicles that do not meet these standards will be eliminated after a grace period. By the end of 2016, the technical standard for LSEVs went public and aroused fierce discussion in the industry. Some said the standards would set too high a threshold for the industry and, once implemented, might eliminate a majority of LSEV producers. Others argued that any compromise on safety standards would hurt all road users, including LSEV drivers themselves. The industry regarded the standards, pending further reviews, as a chance of survival at least. However, now only a month away from the final decision, what happened was not the national standards that the market had expected, but a sweeping round of bans. Instead of banning some vehicles which are not up to the national standards, the current “ban all” approach has caught LSEV enterprises unprepared. Some uncompetitive LSEV manufacturers had already closed before the ban. The growing use of electric cars in recent years has encroached on the LSEV market, which, in addition to the market fluctuations resulting from the forthcoming standards, made it hard for some companies to survive. Other companies have already started to upgrade their models, including using lithium batteries, hoping it will give them a chance to survive. The industry is becoming more concentrated. It is estimated that the top five LSEV companies in Shandong Province produce 75 percent of the province’s total LSEV output. “The products have greatly upgraded and improved in the past five years,” said Shu Xin, general manager of Levdeo. Yang Yusheng also recognized the technical progress on LSEV manufacturing in China. As for the chaos LSEVs bring to traffic, Dong Yang believes the problems can only be solved by defining them as a type of motor vehicle, albeit slower and smaller than the norm. He advised that lessons could be learned from Japan’s mini-sized vehicle rules and China’s current management of agricultural vehicles, which have national technical standards for production, licensing and use. Some people hold that as there is such big demand among low-income households, the LSEV market should be allowed to develop. But no one denies that it is equally urgent to clean up the market and tighten up regulations for safety concerns and stricter supervision of the industry. 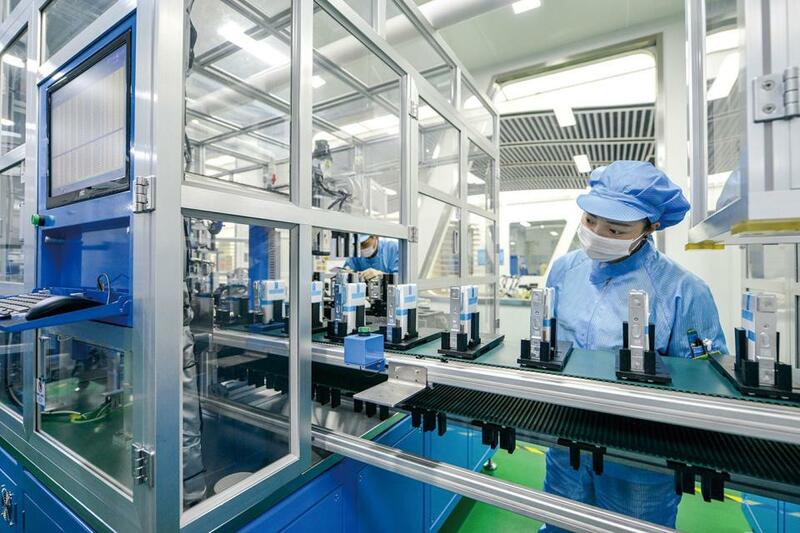 Executives of LSEV manufacturers NewsChina spoke to agreed that if there are laws to abide by, the sector can continue on a path of healthy development. Simply banning all such vehicles, as some places are doing now, cannot really solve the problem in this industry. But it is certain that a law is needed to protect all road users, and bring the regulatory certainty to any sector that China’s economic growth needs.